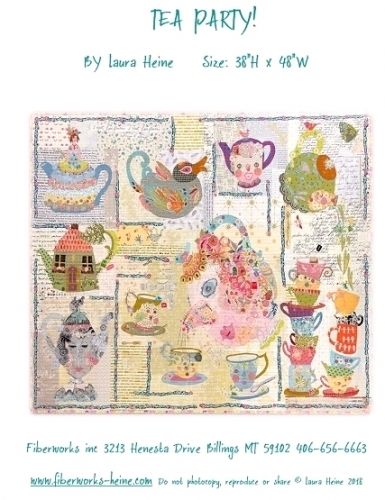 Tea Party Collage Pattern by Laura Heine includes complete instruction and full sized patterns. Pattern and supply lists are set up as a progressive BOM, meaning leftover fabrics from block one can move forward to future blocks, leftover fabrics from block two can move forward and backwards to other blocks. 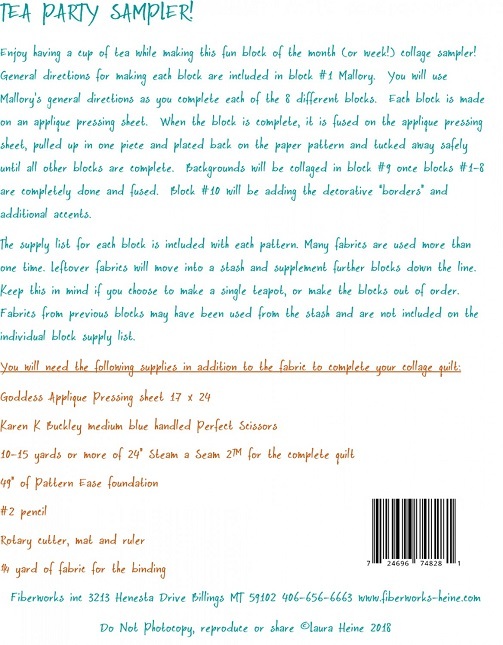 Pattern is in booklet format. Finished size 38" x 48".